This chicken and chorizo taquitos recipe is without a doubt one of the most flavorful we have tried. The chorizo adds crunch and flavor to the chicken mix. Pair these with your favorite shot of tequila. We recently hosted Taco Tuesday and made all kinds of tacos, but these chicken taquitos with chorizo-bean sauce were my all-time favorite! It’s surprising how the crunchy chorizo really kicks up the flavor of the traditional chicken. Add some black bean sauce into the mix, and you’ve got quite the party. These taquitos do have a problem, though, and that’s limiting yourself to only one! 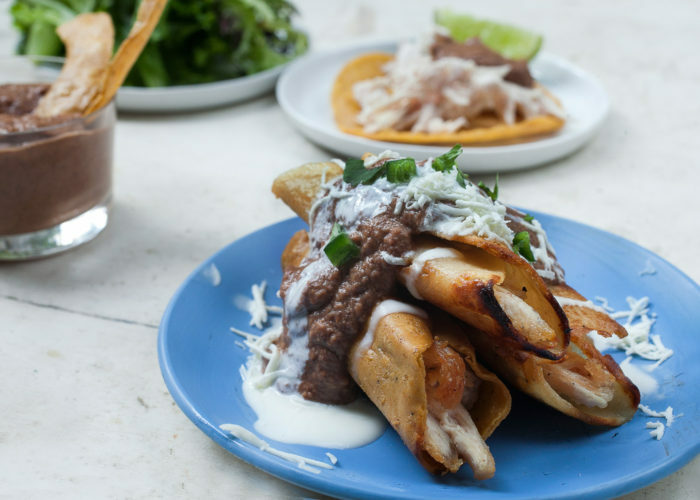 Taquitos and flautas are very similar dishes... but they're not the same thing. 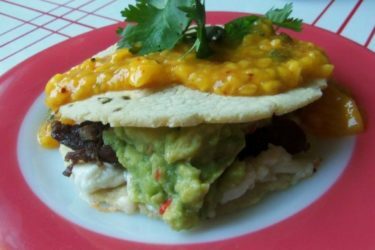 Both are tortillas stuffed with a variety of ingredients and fried to crispy perfection. But the easiest difference between the two is their shape and the type of tortilla used to make them. A flauta, which means "flute," is characteristically long and thin, while a taquito, or "little taco," is more compact. 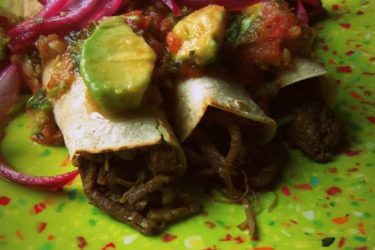 Flautas are also typically made with flour tortillas, while taquitos are made with corn tortillas. Wash chicken thoroughly and place in a medium-sized skillet and add water until chicken is covered. Add all ingredients and bring to a boil. Boil for 10 minutes and then reduce heat and simmer, covered, for 30 to 40 minutes or until the chicken can be shredded. Let the shredded chicken cool enough to work with. While the chicken is cooking, add the oil to another medium-sized skillet and the chorizo, cook it until crispy and reserve. Blend the beans with 1 cup of chicken broth and reserve. Slice the avocados and reserve inside the fridge. 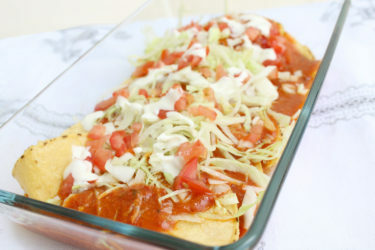 Using the same skillet, add more vegetable oil over low heat, and roll the taquitos with about 2 spoonfuls of chicken. Use a toothpick to keep it closed by inserting it at the edge of the tortilla and running it through the center. Continue this process until all of the chicken has been used. After they are all rolled up, start frying them in the 350 degree oil. Fry a few at a time on both sides until golden brown; they will take about 2 minutes a side. Place on a plate and remove the toothpick. Top with bean sauce, shredded lettuce, sour cream and chorizo.